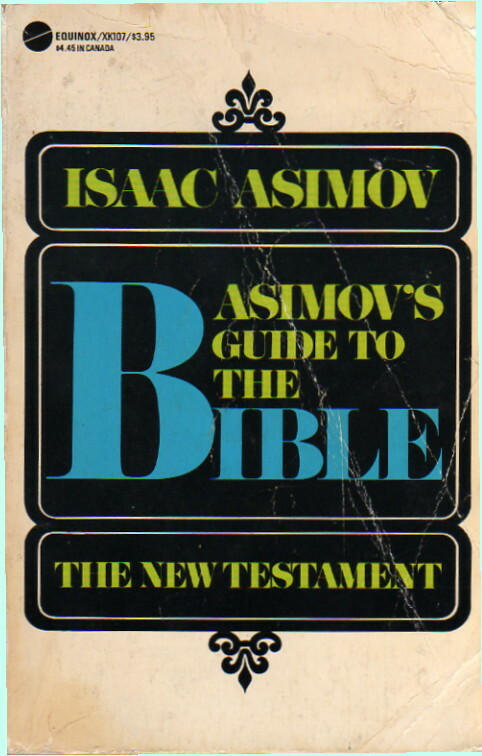 Asimov’s Guide to the Bible is the most fascinating general guide ever written on a book whose impact continues to be felt in areas as diverse as religion, history, archaeology and mythology. Dr. Asimov’s eminently entertaining yet historically accurate examination of the New Testament, verse-by-verse, clarifies such puzzles as the appearance of the Star of Bethlehem (was it Halley’s Comet? ), the curious omission of Jesus in other books or records written during the same period, the Gospels’ position on slavery and many other questions. He removes many of the mysteries of the early Christian era and in a lucid style which blends scholarly research with layman’s language, he has illuminated many surprising new facets of this inexhaustible source of knowledge. The second half of Asimov’s Guide to the Bible is even better than the first half in some ways. 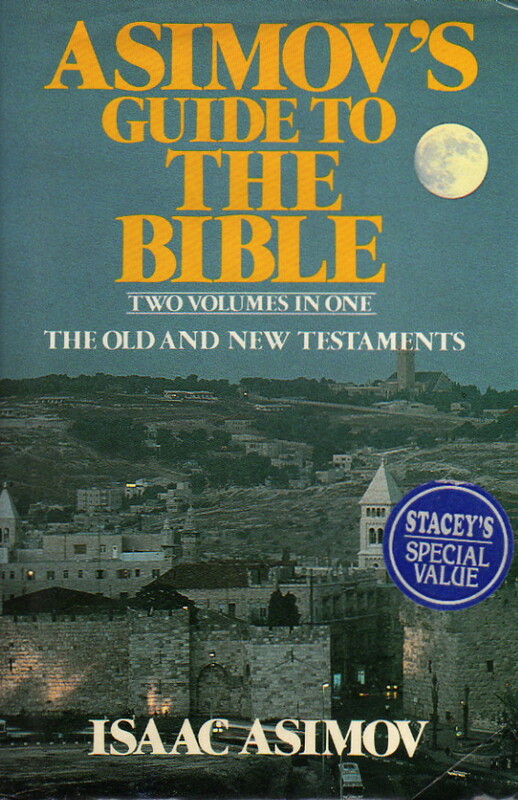 In volume one, Asimov treated the Old Testament. This to many of the religious conservatives is bad enough, because of what he says about Genesis, about source criticism, about all those Isaiahs. But in volume two, he’s talking about Jesus, and this probably gets even more people even hotter under the collar. Now, volume one has the advantage of a very broad historical scope. History as presented by the Old Testament and Middle Eastern history as presented by modern scholarship more or less merge about the reign of King David (ca. 1000 B.C.E.) but have points of contact going back a thousand years earlier. And they run together for six hundred years to a millennium. This is a long and complex time, and Asimov explains it well. The New Testament, however, isn’t as long, historically. Discounting the birth narratives in Matthew and Luke, the historical core of the New Testament starts roughly 30 C.E., has a narrative thread which lasts for thirty years or so, and peters out in another thirty. Of course, it’s a pretty exciting century, and the interaction of Jew and Roman is key to the New Testament, important to understand, and well-presented here. As for how he specifically handles the material, one’s own reaction is going to be very dependent in one’s religious assumptions. Asimov here follows the main thrusts of modern Biblical scholarship, and does not himself accept miracles or the Resurrection or any of that stuff as historical, although he admires Jesus as a teacher of ethics. The material isn’t very badly dated, is interesting, and is very well done. Again, this is a book I would strongly recommend to anyone interested in Asimov or in the Bible.